Journalism 101 . . .
Just the facts. It is not for the reporter to judge. The class will examine a story posted online Tuesday by the New York Daily News. 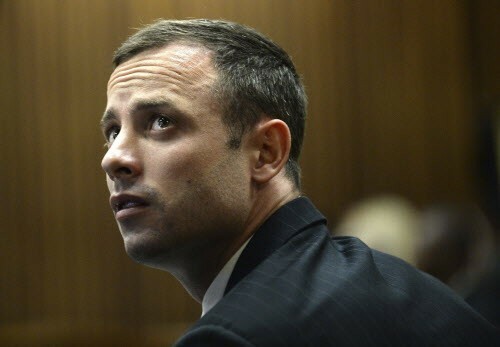 The subject is day two of the Oscar Pistorius trial in South Africa. Pistorius is accused of murder in the fatal shooting in his home 13 months ago of his girlfriend, Reeva Steenkamp. Pistorius contends that he wakened in the early hours and fired at her through the bathroom door because he mistook her for a burglar. Now Pistorius's life is in the balance. On Tuesday, as Pistorius's lawyer described to the jury how bullet fragments were removed from Steenkamp's skull, Pistorius wept. The Daily News story begins: "It was an Oscar-worthy performance." Do you understand what's wrong with that? Exactly. The reporter has no business judging the quality of Pistorius's performance. The reporter is not a movie critic. His praise is inappropriate and nonprofessional. A hand is raised in the back row. You say the problem with the Daily News lead actually goes much deeper than that? Your attitude, young lady, is so very 20th century. Perhaps you're in the wrong class.